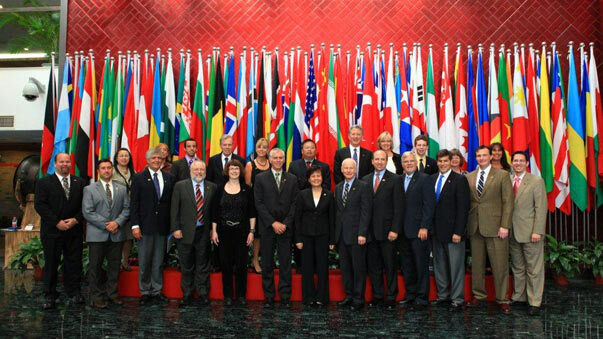 I just returned from China after participating with a legislative trade delegation. We didn’t make the trip to sign a specific deal, but primarily to build trust. It is a long-term process of relationship building. China is Oregon’s largest trade partner, with over $4 billion worth of products sold to this emerging country. Oregon has 3.8 million citizens, which would actually be a very small city in China compared with Beijing (the Central Government Capitol) with a population of more than 24 million. That $4 billion translates into many jobs for Oregonians. The time our delegation spent with this trade partner was important. The Chinese business community appreciates government officials paying attention to them. They see this as a prideful status symbol that we visit each other. One event we attended was the World Friendly Chamber of Commerce Convention, where Oregon was well represented and we networked with people from all over China and other countries. The Houston Chamber of Commerce was the only other US represented chamber. The relationships we began or continued to develop are such that over a longer period of time trust will be built and goods will be purchased. Everywhere we went, we saw evidence of a growing economy. At one point I looked around 360 degrees and saw 18 large construction cranes in the air, some not moving, but still evidence of a construction boom much larger than here in our country. We also had the opportunity to visit the Three Gorges Dam spanning the Yangtze River. It is one of the largest power stations in the world, but has drawn much controversy with regards to impact on the environment and the people living near the structure. I took note that whenever they put their minds to doing a project; it got done very quickly and efficiently, but not necessarily in an environmentally balanced way. We visited a large university and a high school. I was taken by the dedication of the students in the school. They had to work hard to obtain the knowledge to pass a test to gain entrance into this high school and were excited about being the best and moving on to a university to study. When I asked about their schedule, I found that they begin their day at 7:45 and it ends at 10 PM, 6 days a week! There are breaks in their day, but even when they go for exercise; it is very organized and disciplined. They have no TV or personal electronic devices and the only computers they have access to, are in their supervised classrooms. In a global competitive economy, our preparation and practice to get us prepared for the real world seemed to be weak compared to what they are doing. However, I do believe we have an edge on the importance of people and values of life; having said that we certainly will need to step it up a notch if we desire to remain at the top of our game in the world economy. Finally, I must say that I personally enjoyed the education I received and I know it will make me a better representative for Oregon. But my best day of the trip was when walked through my front door here in Salem. We live in an awesome area and country. I know we have been blessed with great resources, and it is up to us prudently use these resources in order for more Oregonians to earn a living and prosper.